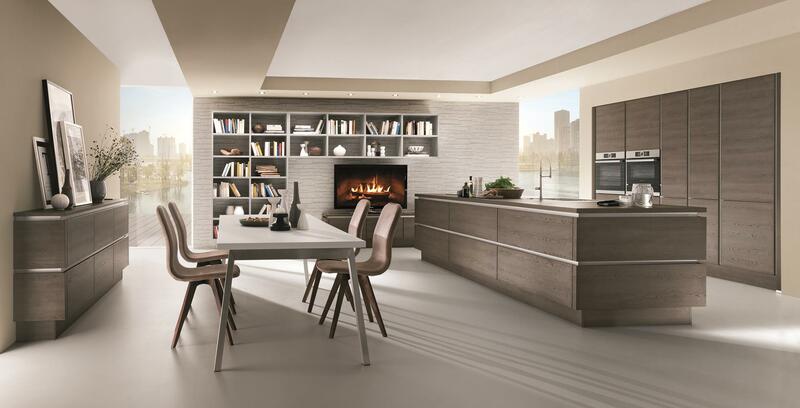 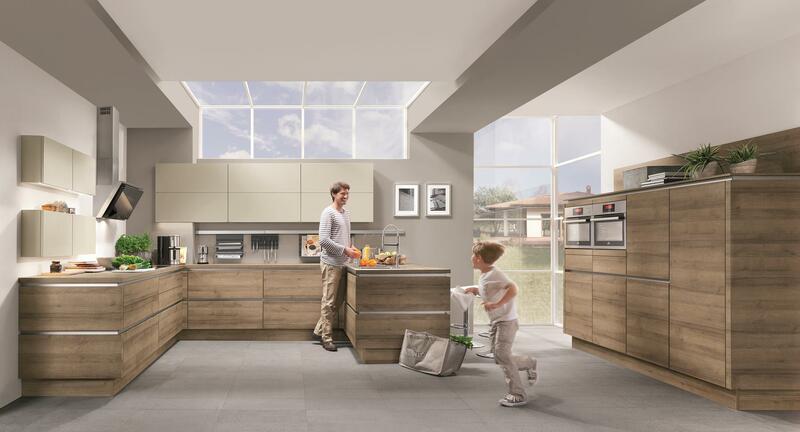 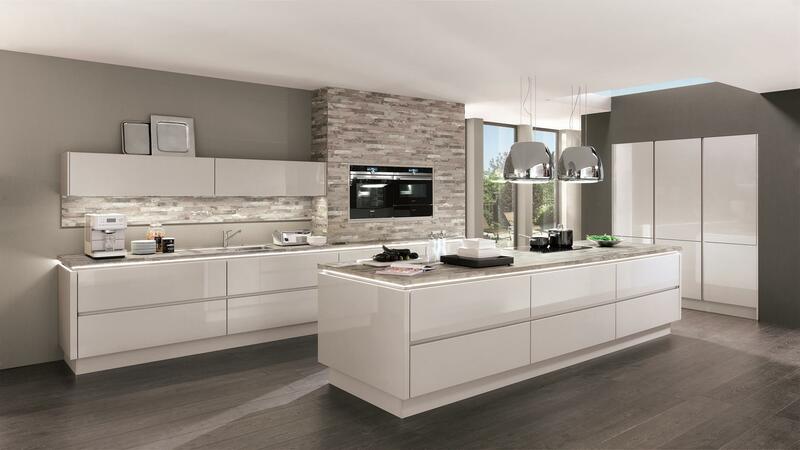 This modern kitchen design gives a feeling of spaciousness and refined simplicity. 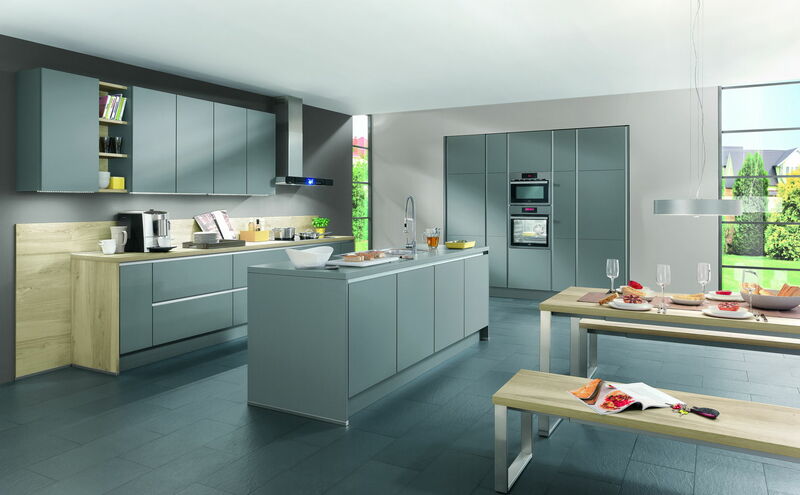 Handleless fronts of bright or mat high-quality lacquer provide automatically a straightforward and harmonious overall image. 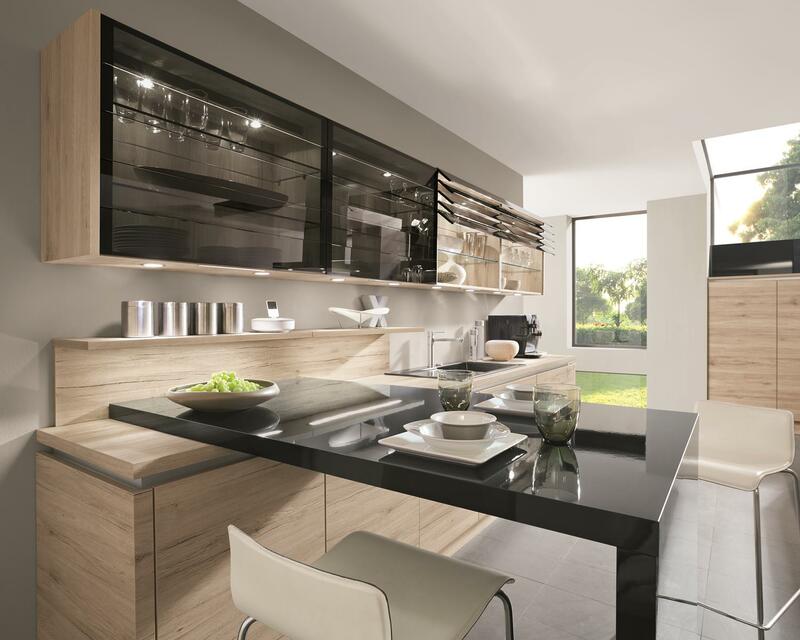 Is it any wonder that handleless kitchens have become a trend?! 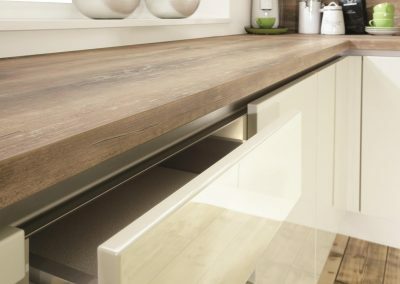 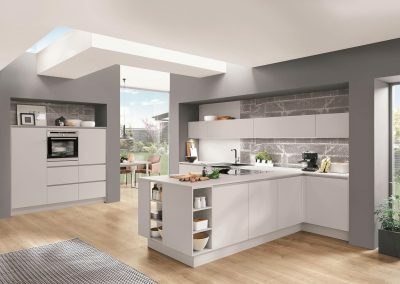 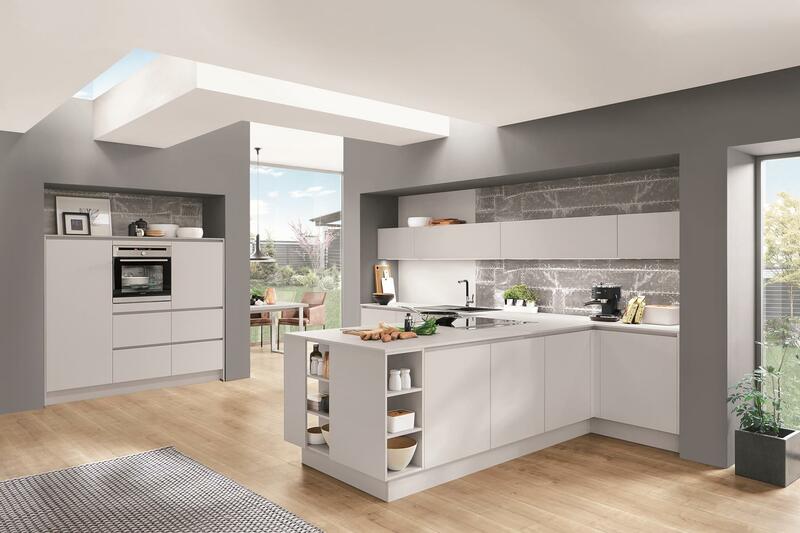 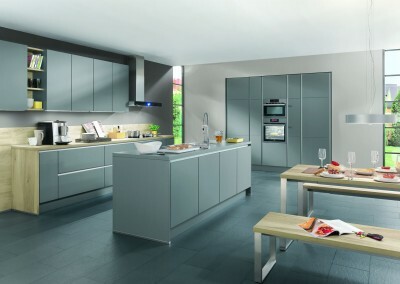 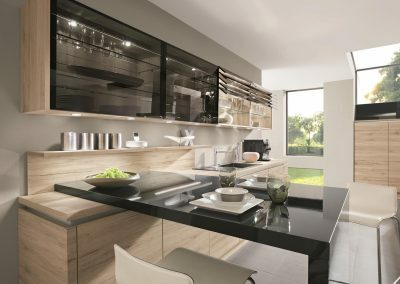 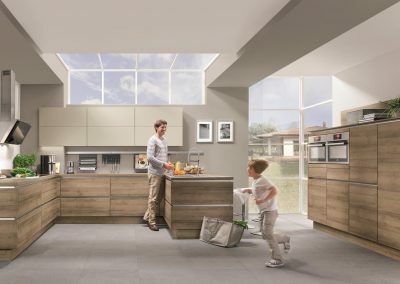 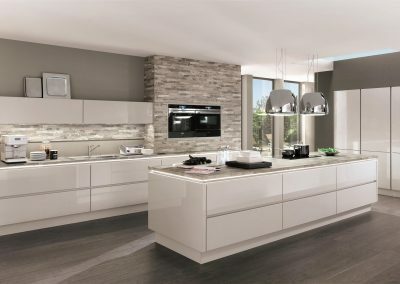 The handleless kitchen fronts feature an “invisible handle”. 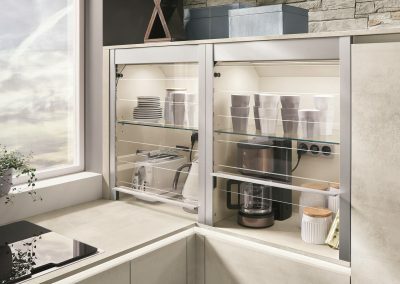 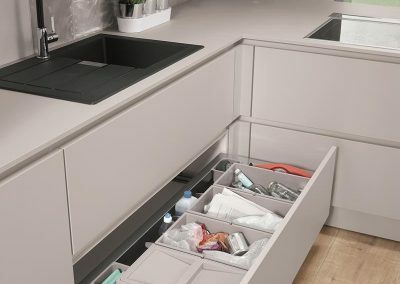 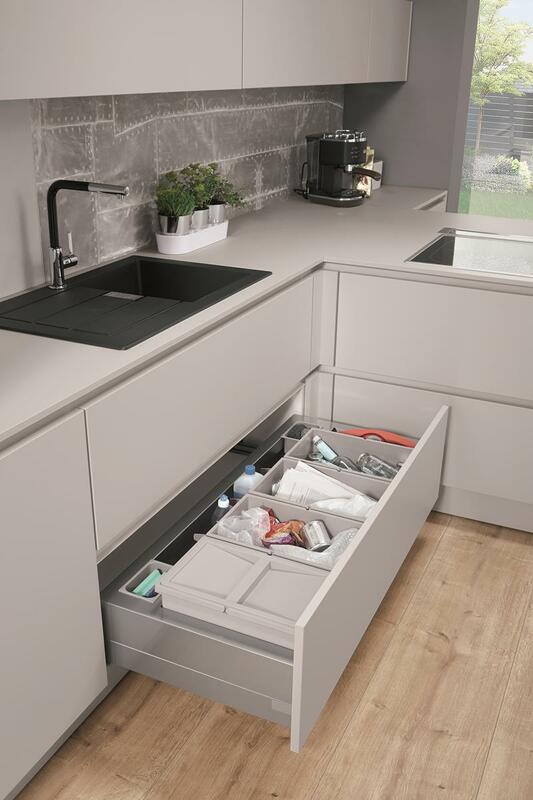 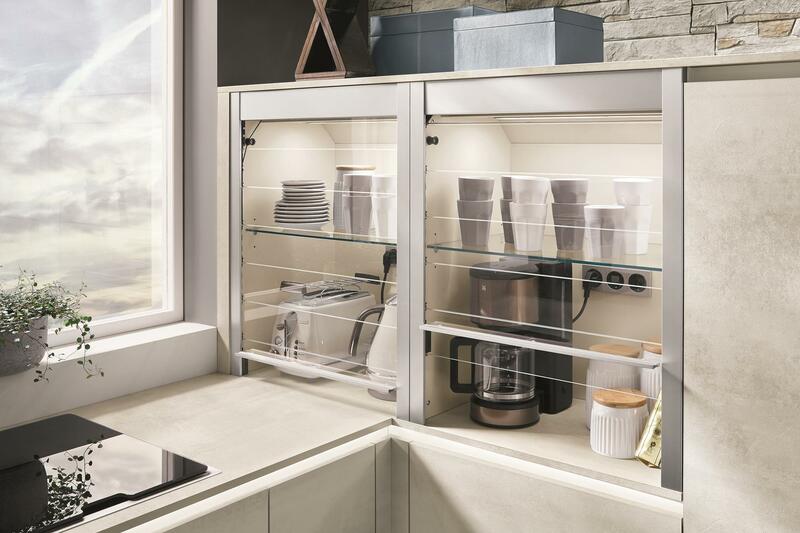 The ergonomically shaped cavities made ​​of anodized steel are integrated in the cabinet body and provide a convenient handling of the doors, drawers and pull-outs .